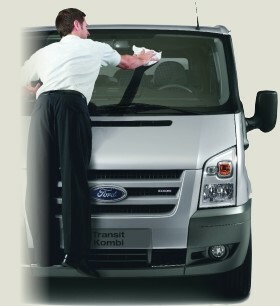 Faro Taxi fleet is renewed frequently, fully equipped with air conditioning, cleaned and maintained on a daily basis. We provide Sagres Transfers with comfort, our friendly drivers are highly experienced, speak English fluently and with excellent knowledge of Sagres. Sagres Taxi Transfer: This is usually an air-conditioned large saloon vehicle (Mercedes or equivalent), it carries a maximum of 4 passengers and approx. 3 or 4 pieces of luggage. Sagres Bus Transfer: This is usually an air-conditioned Ford Transit Mini Bus, it carries a maximum of 8 passengers, and approx. 7/8 pieces of luggage. No Extras or Hidden charges: Baby & Booster seats are supplied free of charge. No waiting charges for delayed flights, No weekend supplements, No toll additional charges. Açoteias, Albufeira, Aljezur, Almancil, Alte, Altura, Alvor, Armação de Pera, Balaia, Boliqueime, Burgau, Carvoeiro, Castro Marim, Estói, Falésia, Faro, Ferragudo, Galé, Guia, Lagoa, Lagos, Lisbon, Loulé, Manta Rota, Meia Praia, Moncarapacho, Monchique, Montechoro, Monte Gordo, Monte Judeu, Olhão, Olhos d'Agua, Oura, Parque da Floresta, Penina, Porches, Portimão, Praia da Rocha, Praia da Luz, Praia do Vau, Quarteira, Quinta do Lago, Sagres, Salema, Salgados, São Brás Alportel, São Rafael, Santa Eulália, Santa Luzia, Sheraton, Silves, Tavira, Vale do Lobo, Vilamoura, Vila Real de Santo António. Ayamonte, El Rompido, Huelva, Malaga, Isla Cristina, Isla Antilla, Isla Canela, Punta Umbria, Seville. We DO NOT mix families or groups in any of our vehicles to maximize profits. We guarantee privacy and drive directly to your holiday destination. All our vehicles always carry first aid kits.